Welcome to Extra Care Chiropractic! Located in the heart of Branson, Missouri the leading health professionals at Extra Care Chiropractic are dedicated to helping you achieve your wellness objectives -- combining skill and expertise that spans the entire chiropractic wellness spectrum. Dr. Aaron Miller is committed to bringing you better health and a better way of life by teaching and practicing the true principles of chiropractic wellness care. Patients in Branson, Mo seeking treatment at Extra Care Chiropractic with Dr. Aaron Miller are assured of receiving only the finest quality care through the use of modern chiropractic equipment and technology. Dr. Aaron Miller and the staff have a genuine concern for your well-being! If you are new to our website, please feel free to discover and learn about chiropractic wellness. If you are interested in starting your journey towards wellness please subscribe to our award winning newsletter. If you are already a newsletter subscriber, please explore the member wellness section of our website for wellness articles, resources, and health facts---specifically targeted by Dr. Aaron Miller to your wellness needs and interests. Dr. Aaron Miller is thrilled and humbled with the enormous responsibility of providing patient care at Extra Care Chiropractic Center. He and his family love being part of the Branson community. Dr. Miller spent his adolescence in the southwest Missouri area before his family moved to St. Louis. 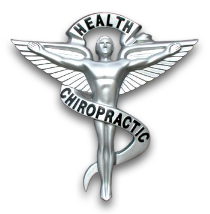 He is pleased to be home and educate those in our area about the benefits of living a healthy life which includes Chiropractic care. "My 2 year old son had the worst time with chronic ear infections. After we took him to Dr. Miller and he started getting adjustments he has not had another ear infection."" "The office has great physical therapy equipment and I know they do a great special on massages for their patients. Definitely try them out!""